At that time the disciples approached Jesus and said, “Who is the greatest in the kingdom of heaven?” He called a child over, placed it in their midst, and said, “Amen, I say to you, unless you turn and become like children, you will not enter the kingdom of heaven. Whoever humbles himself like this child is the greatest in the kingdom of heaven. And whoever receives one child such as this in my name receives me. “See that you do not despise one of these little ones, for I say to you that their angels in heaven always look upon the face of my heavenly Father. Just like the Sto. Niño, we are all called to become childlike. Far from being childish which is irritating, a childlike person is pleasing. He is like the Lord described by Isaiah in the 1st reading as someone who makes our gladness greater and our joys increase (Isaiah 9:1-2). Now the childlike person is pleasing because of his sense of wonder, dynamism, and relation. A childlike person has a sense of wonder. Aristotle himself says that this wonder which is the desire to know more applies to all humans (Metaphysics 980a21). Now this openness implies universality and discretion. Unlike the sceptic who is too proud to learn from somebody, the child is eager to learn from his parents and elders. Similarly the childlike person has this sense of universality by being open to the truth not just of one, but of everyone. For the truth that we cannot learn from one can be learned from another. This is the reason why for us Dominicans, we do not have the tradition of appointing only a single spiritual director in formation. The spiritual direction is provided by our community and our deep study life. This structure prevents us from developing a perspective limited by a single confessor or spiritual director. Yet it is not enough that one be merely open. Discretion is also necessary so as to evaluate whether ideas are true or not. Fr. Enrico Gonzales, OP illustrates this using an angle saying that one should be open on one side and closed on the other side. He should be open on one side in so far as he accepts new truths that complement or clarify the already-established or accepted truths. Yet, he should also be closed on the other side in so far as he rejects ideas that totally contradict the established truths. A person who boasts of being so open that he becomes a relativist has the danger of having his brains fall down! That is why in today’s gospel, the child Jesus is not merely open in listening to the teachers of the temple. He also clarifies their ideas by asking questions (Luke 2:46). Similarly while the child is generally obedient to his elders, he would refuse to follow their immoral commands like not telling the truth. In the story of the Emperor’s new clothes, in spite of the command of his elders to ignore the truth and be silent, the child could not help laughing and expressing the simple truth that the emperor has no clothes. A childlike person is also dynamic. Regardless of our achievements we all have to keep on progressing not just in knowledge, but in all aspects of our life. Even the child Jesus Himself “increased in wisdom, stature, and favor with God and men (Luke 2:52).” The problem enters when we fail to grow in one aspect of our life. Thomas Aquinas describes this as becoming a monster. Imagine that your body is growing but not your head! Hence, let us use the prayer of Paul in the 2nd reading that we may keep on improving in knowing and doing God’s will (Ephesians 1:17-18). And finally, a childlike person is also relational. Being the youngest, the child could be the focus of attention in the family. But this focus is far different from that of the celebrities. The care and love given to him by his parents promote not so much grasping after something as openness to receiving trust and love. The centeredness of the child promotes unity and love. As we celebrate the feast of Sto. 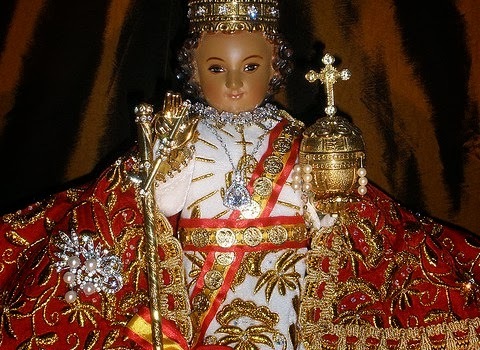 Niño, let us pray that we may become like Him who is pleasing to everyone because of his wonder, dynamism, and love. FR. RUDOLF STEVEN SEÑO, OP is a Dominican Priest assigned in the Priory of St. Thomas Aquinas. FEAST OF THE DEDICATION OF THE LATERAN BASILICA. in Rome. He is from the Diocese of Tulsa, Oklahoma. The basilica of St. John Lateran is a distinctive treasure of theology, spirituality and ecclesiology. As you approach the basilica, you see an inscription across the front that says this: Sacrosancta Lateranensis ecclesia omnium urbis et orbis ecclesiarum mater et caput (meaning “Most Holy Lateran Church, of all the churches in the city and the world, the mother and head”). In a real sense, the St. John Lateran is a mother who has been teaching us, as Catholics, what it means to be Church for more nearly 1,700 years. I think it is worth listening to a few lessons that I think this basilica, our Mother, has to offer us today even as she first taught them to the Church of Rome 1,700 years ago. The first lesson is what she says to us by her sheer size. You know, when Constantine legalized Christianity in 312/313 AD, he made it possible for Christians to worship publicly for the first time. But temples in the ancient world were very small, even the temple in Jerusalem had a very small sanctuary. That’s because people in the ancient world did not participate in worship. Instead, only the priest would enter the sanctuary to offer sacrifice. The people stood outside while the priest worshiped for them. So you can imagine Constantine’s surprise when he said to Pope Silvester, “how big of a temple do you want” and Pope Silvester replied, “How big can you build it? !” The idea that people would actually participate in worship was revolutionary. St. John Lateran was, in first place, built for public Christian worship in the City of Rome and as such it set the standard for all others. It taught them, and it teaches us, that the Mass is never something we watch like spectators but always something in which we participate. No one can do our prayer for us. Do you see why Jesus drove the moneychangers out of the temple? He didn’t want a temple in which others offer purchased sacrifices; He wanted a new temple in which the presence of God dwells and those assembled are members of His body raised up. So when we come here for our liturgies, do we watch the priest pray or are we transformed with the priest as he leads us in prayer? If the first words the come out of our mouths following a liturgy are observations of criticism rather than expressions of thanksgiving, then we are more observers than participants. But if we are participants, then every reading of scripture will speak to our heart and every Eucharist will be a life-changing encounter with Jesus. The second lesson of St. John Lateran is in the Baptistry – it is the lesson of the red columns and beautifully carved pilasters. These were taken from other imperial monuments in Rome and used to build the baptistery. They could have used new materials when they built the baptistery – they didn’t have to use things from other buildings. They did so for a purpose, to teach a truth of faith. And I think the truth is this: In baptism, that which is secular becomes sacred; that which is profane, is now profoundly incorporated into the body of Christ. Those old pieces of marble and red porphyry used to adorn the monuments of the pagan emperors. They are symbols of all the forces of sin and death that tried to destroy Christianity – but through the grace of Baptism, they become a beautiful part of the Church. That is the power of baptism – It changes all people and makes them new in Christ. The Church always has been a community of sinners seeking God’s grace. The baptistery of St. John Lateran reminds us that no sin is greater than God’s mercy, and that the waters of Baptism and the grace of Reconciliation continue to take what is secular and make it sacred. How easy it would have been for the early Church to become elitist thinking that people had to earn their right to be Christian or somehow prove themselves holy before they would be accepted. St. John Lateran shatters that arrogant illusion. If the porphyry pillars that once served the personal needs of murderous pagan emperors could become the welcoming public entrance of a Christian Church, then there’s hope for us, too, and for all God’s people. St. John Lateran teaches us that the Church is where we trust and celebrate God’s all-powerful, unbounded, transforming mercy. Lastly, the gilded bronze pillars near the altar of repose for the Blessed Sacrament. Constantine gave these pillars to the Basilica of St. John Lateran for a reason – because they tell a story. You see, in 44 BC, Augustus was named the heir of Julius Caesar. It was not an easy transition – he had to conquer Mark Anthony. And when he did, in the year 30 BC, he set sail to also conquer the famed and feared Egyptian navy of Cleopatra. And when it was over, he confiscated all the Egyptian ships of Cleopatra’s fleet and removed their prows – that’s the bronze decoration piece that was used on the bow. Augustus melted those bronze pieces and molded them into 4 pillars which he had placed in the temple of Jupiter on the Capitoline Hill. They were a symbol to everyone that a new day had dawned and that a new era had begun. A new chapter in world history had opened – the Roman Empire had been formed. Those pillars were powerful. And Constantine gave them to the Basilica of St. John Lateran to make the same statement … but now for the Church – a new day has dawned, a new era has begun, a new chapter in world history is now opened – Christianity is no longer only a private, personal experience of faith; it is now a public witness that courageously forms society and transforms cultures and no longer hides in fear of persecution or rejection. Those pillars are a statement to us today that we are to be courageously prophetic, and publicly vocal in our witness of faith: That the new chapter of Christianity is still open and the Church has a necessary voice in world affairs. We need to remember that–today more than ever–lest we become silent and the bronze columns of St. John Lateran become nothing but interesting artifacts from the past. So when you visit St. John Lateran, and when you see her size, remember it is so, that we too can be participants in worship and not just watch it. When you see the columns and marbles of ancient Rome reused, remember it is so, that we too can be transformed by grace and the profane in our lives can be made profound by Christ. When you see the pillars of bronze around the tabernacle, it is so, that everyone may become priests and prophets of the Christian era in a secular world. Today, we do not just celebrate the dedication of a church–we celebrate the dedication of that church which continues to teach us how to be Church. The Lord is commanding us all to love Him primarily with all our heart, mind, and soul. On the other hand, He is asking us to love our neighbors as ourselves. But the former com­mandment could be satisfied by fulfilling the latter. The image of God is reflected in our neighbors most especially in the least among them. As the Lord says, “whatever you do to the least of my brothers, you do it to me.” There­fore, if we are to love our neighbors with all our heart, mind, and soul, so are we doing the same thing to the one who created us all. According to St. Teresa of Calcutta, “Love is the absence of Judgment.” Humans as we are, we are weak and have the tendency to falter most of the time. Since all of us belong to a certain community, there will always be misunder­standings between different individuals. For this reason, the love that the Lord is asking us to have becomes vague and frail because it contradicts the meaning of love which is the “absence of judgment.” Because of our self-centered differ­ences, we tend to criticize, mock, and hate on another causing divisions. In the seminary, we are all different from one another. Each one is coming from a cul­ture unique from everyone else’s. We have different attitudes and capabilities. Because of our uniqueness, we end up misunderstanding each other and creating divisions. But the essence of the words of Mother Teresa gave us the reason to be reunited. The Lord is telling us all, according to the words of Mo. Teresa, that in order for us to live as one, we must not look at the differences we have but on what is commonly good among all. We do not judge our brothers and sisters according to how they differ from us but we must appreciate their goodness. We will never remove our sense of judgment towards the shadows of others directly but indirectly, by focusing our perspective towards the beauty in the person, not the shadows behind her/ him, only then will we be able to appreciate them. The Lord looks at all of us not by the way we see things but with a perspective full of hope. He does not look on our sinfulness and imperfections but on what is good in us. He always seeks the perfection in us amidst all our imperfections. He identifies our goodness so that he may use that to convert our misdeeds to hope. In order for us to love, we should take God’s perspective --- not judging the imperfections caused by differ­ences but appreciating the goodness that is common within us all. 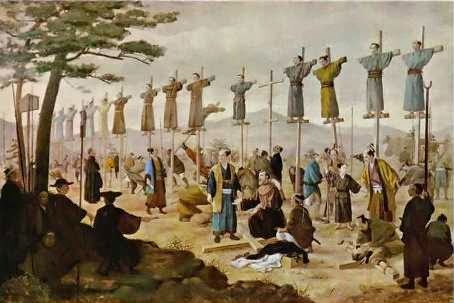 On this day, the Order commemorates sixteen martyrs who labored to establish the Church in Nagasaki, Japan, and who were martyred at various times during the years 1633, 1634 and 1637. After enduring horrible tortures, they were executed by the method known as the “gallows and pit,” their bodies were burned, and their ashes scattered. 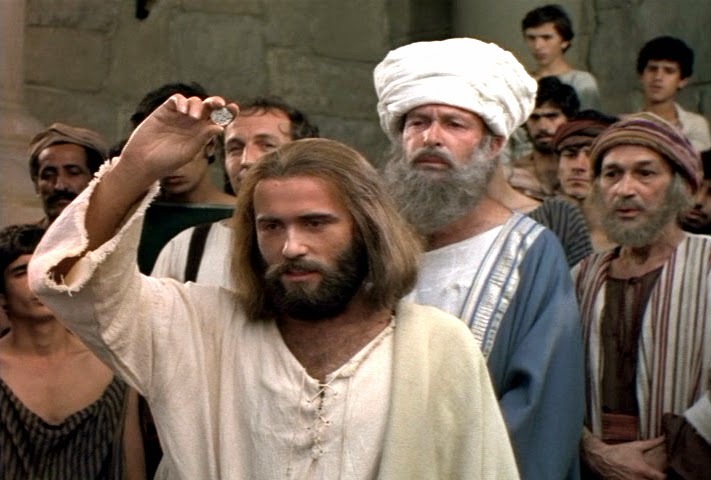 There is no indication that Jesus returned the coin to the Phari­see. Maybe as Jesus proclaims the punchline “and render to God the things that are God’s”--- He pockets the coin and has the last laugh.” and that is another story. 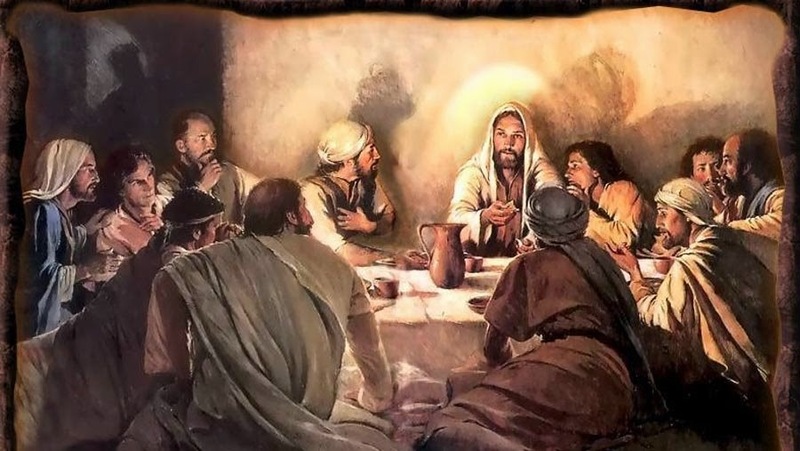 Faced with the dou­ble-ended trap of the Pharisees and the Herodians, in which it was unsafe to clearly say yes or no, Jesus framed His answer in such enigmatic lan­guage that it would be hard for either party to trap Him. 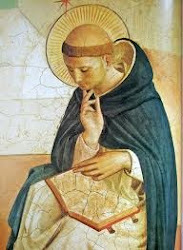 In this way, He succeeded in confusing not only His interroga­tors but also many of us who read the Bible today. If you think Jesus meant that we should have two parallel loyalties, it might help to know that the Pharisees who heard Him did not understand it in that way. In the trial of Jesus before Pi­late, one of the charges they brought against Him was that He forbade paying taxes to Caesar (Luke 23:2). Instead of answering the direct question of whether one should pay the forced tribute to Caesar or not, Jesus raises the question to another level, that of the principle of justice. Greek philosophers before Jesus defined justice as “giving back to everyone what is their due.” Jesus seems to be saying that the only binding obligation is that of justice, that of giving back to every person what is due to them. Serving God is basically a matter of justice? If God has given to us all that we are and what we have, then we are bound in justice to give back to God some gratitude, loyalty, and service. The central act of Chris­tian worship is called Eucharist, which means “thanksgiving.” It is basically a question of paying back the debt of gratitude we owe to God. Surely, even in our own lives, we might come to the point of asking God as if we are entrapping Him and blaming Him for all of our misfortunes that happened in us. But certainly, one thing is for sure, God will answer all of our questions in due time. Most of the time, we will not recognize his answers be­cause of too much self-centeredness and God is so mysterious. This is the challenge for all of us --- to become a just man that is to render what is due to our neighbor and to our God. Do not ask your neighbor what good he can do for you, but rather ask yourself you can do well for your neighbor. As Jesus says what you do to others, you do also unto me. With this, we will be­come a just man that is pleasing in the sight of our Lord Jesus Christ. And I think, He will answer our questions clearly and directly this time. Every day we listen to the sound around us. The birds calling in the night, the breeze of the ocean, people talking, we all listen to them. In fact, we even listen to an­noying sounds even if they are not pleasing to hear but the point is, do we listen to God who is always calling us? If you couldn't understand the parable of the wedding banquet, I can provide you with some insights. The king who is inviting the guests is God. The messenger whom he sent to invite the guests is Jesus our divine teacher and we are the guests who refused God's invitation. Despite of His invitation to us, we do not respond to His call rather, we reject it. God is calling out to us every day and He is reaching out to us but we completely ignore it at times. All we need to do is to listen to God’s invitation and accept it. St. Paul even pointed out that faith comes through hearing. If we do not listen to our teachers, we will not understand anything at all. If we will not listen to the homily, we will not learn anything about the Gospel; and if we will not listen to God, we will not live a life of holiness and happiness. It's that simple. We need to listen and accept the invitation of God to a life of holiness and in order for that to happen, we need to open our hearts and our minds to Him. God is inviting us and in His invitation we could choose whether we would accept the invitation or decline it. Jesus is always knocking at our door. It is up to us if we will open it and receive Him with our whole hearts. Remember, the doorknob is on the inside and not on the outside. It is our call if we are go­ing to accept His invitation or not. TWENTY-SEVENTH SUNDAY IN ORDINARY TIME. Green. When I was still little child, my parents would always remind me whenever I borrow things to take care of other people’s belongings and treat it with love as if those were my own. Of course, they never fall short of reminding me to return those borrowed things; but so far as I remember some of those are still with me until now, I would like to apologize for that. Going bask, the reminder of my parents tells me of responsibility and stewardship. 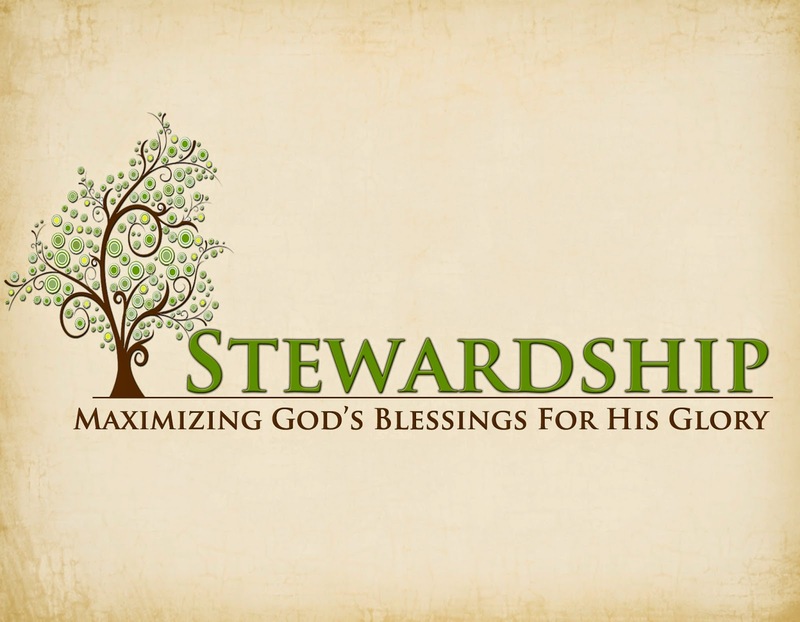 Stewardship means “we are entrusted of something and accounted of something.” In Filipino, we translate this word in different ways: pangangalaga (caretaking), pagkakatiwala (entrusting), pamamathala (overseeing), etc. Now, let us focus on the tenants of the vineyard. When we say that we are tagapangalaga (Filipino root: pag-aalaga), we are given the task to take care of an object, an institution or a place. When we say that we are katiwala (Filipino root: tiwala), we are entrusted an obligation. But pamamathala goes to a deeper meaning. In the olden times, the native Filipinos would call God, Bathala. When we consider ourselves as namamathala, we are given a responsibility in which God would have wished after the servants did not do anything productive. They beat one, killed another and stoned a third even the owner’s son was not spared. Do you think that they have practiced pamamathala in that manner? In our daily lives, we are also called to practice stewardship. We are given talents, intelligence, strength and many more in different ways that God had fashioned us into and it's up to us if we want to discover more. Sometimes, we forget that we are only stewards to the point that our pride overpowers us. We tend to show off. We strive to own the world. We try to amass the produce by being indifferent to God's creation. It's time to wake up. It's time to fulfill our mission as stewards. The Creator entrusted us with natural and spiritual gifts in order for us to be productive tenants and servants for His Kingdom. My friends, remember that we are all stewards, that is tagapamathala. NOTE: Inspired by a composition entitled Dominican Poverty and Filipino Stewardship by Fr. Stephen Redillas, OP, page 24 of the book ““Nanahan sa Atin” by Pedregosa, Timoner, Marquez, etc.